Washington, DC this weekend was a city of magical realism. We caught a glimpse of a pink dragon going up 14th Street with a merry band of revelers on board. A gaucho on a horse brought traffic to a crawl on my street. I suppose when the going gets tough, the tough think magically. 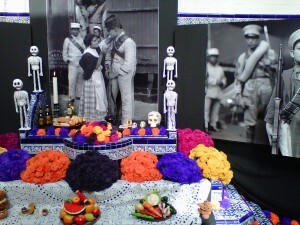 Every year the Mexican Cultural Institute in Washington, DC creates its “Dia de los Muertos” (Day of the Dead) altar. Today was their open house. The altar was dedicated to the 200th anniversary of the Mexican Revolution. 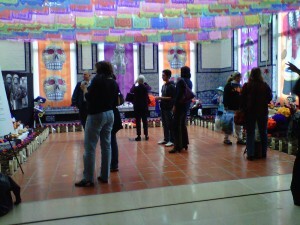 This was the first year I actually did some “Day of the Dead” commemorations. In fact, I can see with time, “Dia de los Muertos” will become part of the fall celebrations and a more meaningful day of remembrance. Our Favorite Chefs group met a week ago for our “In the Kitchen with Frida Kahlo and Diana Kennedy: Day of the Dead Potluck.” I’ve had Diana Kennedy’s The Essential Cuisines of Mexico for years, but never had the nerve to try one of her recipes. I was told they were difficult to follow or find ingredients. I selected the Dulce de Camote, a sweet potato puree with chopped dried fruit (candied orange and lemon peels, apricots, pineapple, gold and Thompson raisins), and a 1 ounce shot each of tequila and dark rum. “Camote” means sweet potato. However, one of my friendly potluck chefs said “camote” also means “fool” or “idiot.” After tasting a spoonful of the sweet potato mixture, I see what she means. 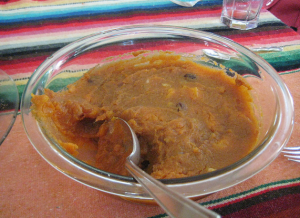 The Dulce de Camote has to be prepared at least 3 days prior to serving. It spends a lot of time in the refrigerator. Diana Kennedy says it can be eaten up to one year if you keep it in the freezer. Preparation required a lot of organizing on my part. That means another whirlwind tour of the tri-state region to collect ingredients especially the candied orange and lemon peels which can be purchased at La Cuisine in Alexandria, VA. Of course, you can make these yourself. All you need is fruit and sugar; but I was pressed for time. I’m giving La Cuisine some play because it’s a wonderful store and Diana Kennedy did shop there once according to the sales person. Because Diana insists Mexican hot chocolate be prepared in a special clay pot, my sister ordered one and a molinillo (frother) from the Dean & Deluca on-line catalog. If you average it out, it’s about the price of a Starbucks tall special drink for each of us. Diana Kennedy is to Mexican cooking what Julia Child was to French cooking. Both were introduced to these cuisines by their husbands whose work took them abroad. We added Frida Kahlo to the menu theme just because she is such a fascinating person and artist. Plus Frida was born in and adored her native Mexico. Diana Kennedy is originally from the UK. We brought memories of our loved ones who were once with us but have now joined the ancestors. I wore a necklace owned by my cousin Karen. She had a great eye for style and was one of those people who loved new experiences. The week of the potluck, NPR aired an interview with Diana Kennedy. You can listen to it here. Here’s a slide show and menu (below). I think the ancestors would be proud. 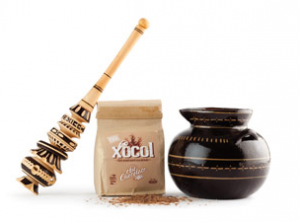 Mexican hot chocolate – Diana Kennedy insists this be made in a clay container. The Historic Charleston City Market has an interesting story as well as an interesting entrance: the Daughters of the Confederacy Museum. Sweet grass basket makers set up their stands right at the entrance. 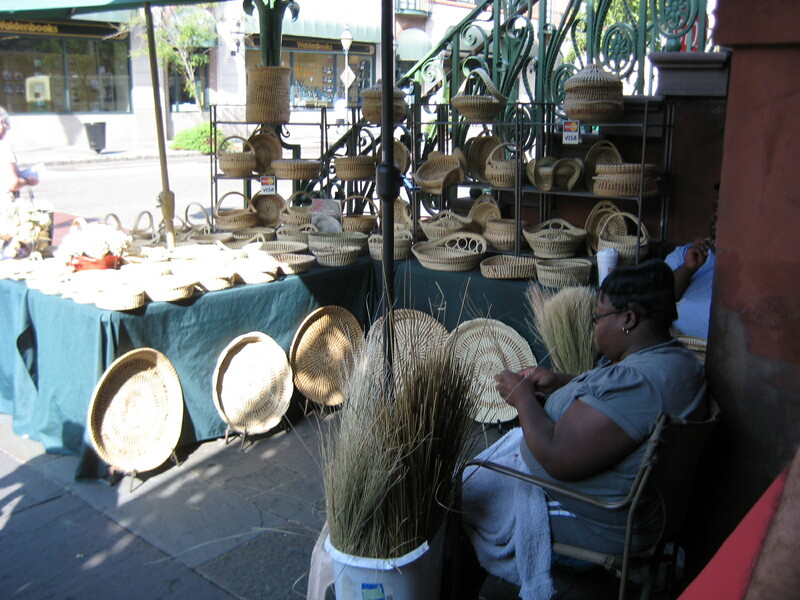 I asked one of the basket makers about the African American history of the market. Apparently, prior to Emancipation, enslaved Africans sold their home grown produce and crafts in this long brick building, earning money for themselves. 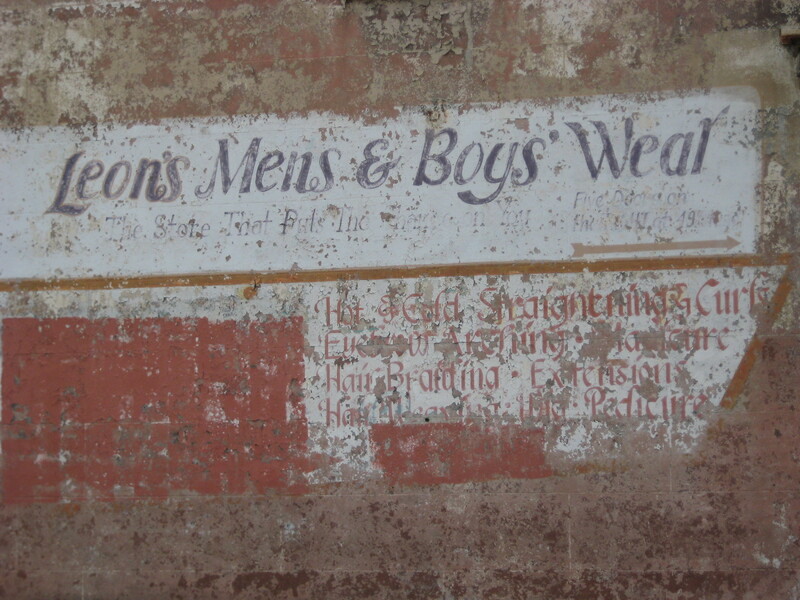 This is separate from the Old Slave Market where people were auctioned until 1863. Unfortunately, I didn’t get a chance to visit. Earlier this year someone told me the art of making sweet grass baskets was dying out because the next generation had no interest in the craft. Well, after talking to a few people here, that’s not true, yet the threat still looms not because of the lack of interest, but the lack of materials. Real estate development is rolling over the lands that produce the sweet grass. Sweet grass is primarily gathered at no expense to the basket maker. Granted, these baskets sell for hundreds of $$$ and more today, but the time involved in the making limits the inventory. 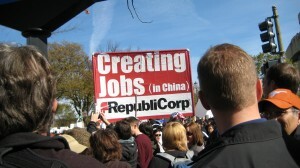 Perhaps the green movement and environmentalists can step in to keep the sweet grass growing. For me, I’m relieved there’s no threat for lack of interest. For the culinary portion of this visit, read the blog at eatonvillerestaurant.com/blog. And so far, it’s delicious. 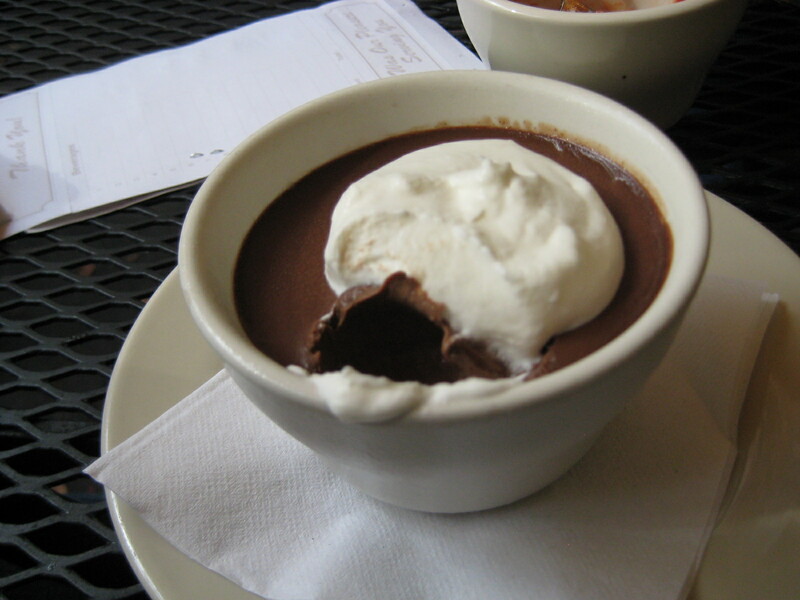 Photo: Chocolate Pudding at Hominy Grill. Click on photo to go to the restaurant website. I saw Jennifer Nelson this weekend at the Arena Stage Home Coming Day brunch and ribbon cutting for the new Mead Center for American Theater. Jennifer is at Ford’s Theater heading special programs. People may know her for penning the Elizabeth Keckly walking tour led by Mary Todd Lincoln’s African American dress designer, herself. This week through October 31, the Kennedy Center presents “Locomotion” adapted by Jacqueline Woodson from her children’s book of the same title. The play is directed by Jennifer Nelson. “Locomotion” is a co-commission between the Kennedy Center with the Orlando Repertory Theatre. The play is for ages 9 and up. Ever have a lot to say, but can’t get the words out? That’s the problem confronting Lonnie Collins Motion, a kid who’s so full of energy that everybody calls him Locomotion. After experiencing some very real family tragedies, the power of poetry finally provides an outlet for expressing his feelings. Award-winning novelist Jacqueline Woodson has turned her book into an inspiring play about the journey of a boy as he moves from tragedy to hope and from losing one family to gaining a new one. Wonder at this boy’s self-discovery through words. 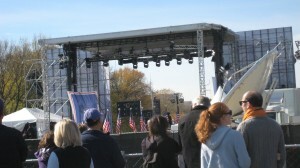 Tickets are $18 and available from the Kennedy Center for the Performing Arts (Washington, DC). Please join us as we present the 3rd Barbara Seaman Awards for Activism in Women’s Health and celebrate 35 years of action. 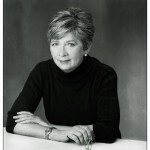 Anne Kasper has been an advocate, sociologist, researcher and public policy expert on women’s health for nearly 40 years. She brought women’s health movement strategies to her ongoing work as a leader in the struggle for health care reform. She was the director of the Campaign for Women’s Health in the 1990s and now chairs the Maryland Women’s Coalition for Health Care Reform. Miriam Zoila Perez is a reproductive right and justice activists, a writer and blogger, and a speaker on LGBTQ issues. She is an editor with the popular blog Feministing.com. Additionally, she is an organizer and advocate for Latina women, most recently in her role as the e-communications for the National Latina Institute for Reproductive Health. Go to this link for tickets. 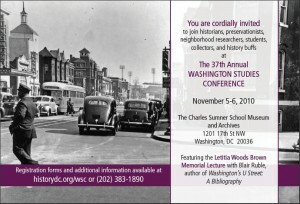 For questions about the event – contact Jill Battalen, Director of Individual Giving, at 202.682.2640 or jbattalen[at]nwhn[dot]org. Each year historians, preservationists, neighborhood sages, researchers, students, collectors and fans gather to exchange more stories about Washington, DC history — from the insiders’ perspectives.